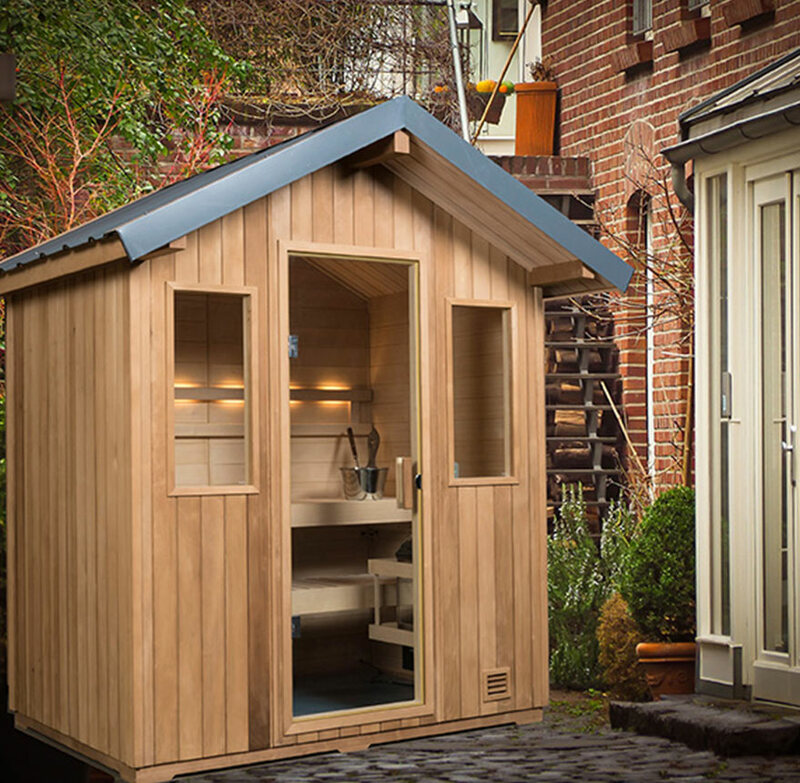 Finnleo® Summit sauna provides a high quality, attractive sauna built to withstand the elements at a very affordable price and a design that looks perfect in any backyard space. 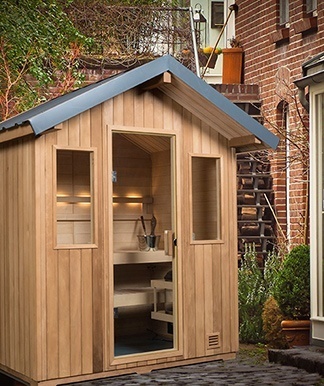 With a heat treated Canadian Hemlock exterior, natural Canadian Hemlock interior and all-weather metal roof. Available in two sizes: 4’x6’ and 5’x7’. Constructed on cedar runners for durability. Prebuilt, prefitted wall and ceiling panels all completely blind nailed. 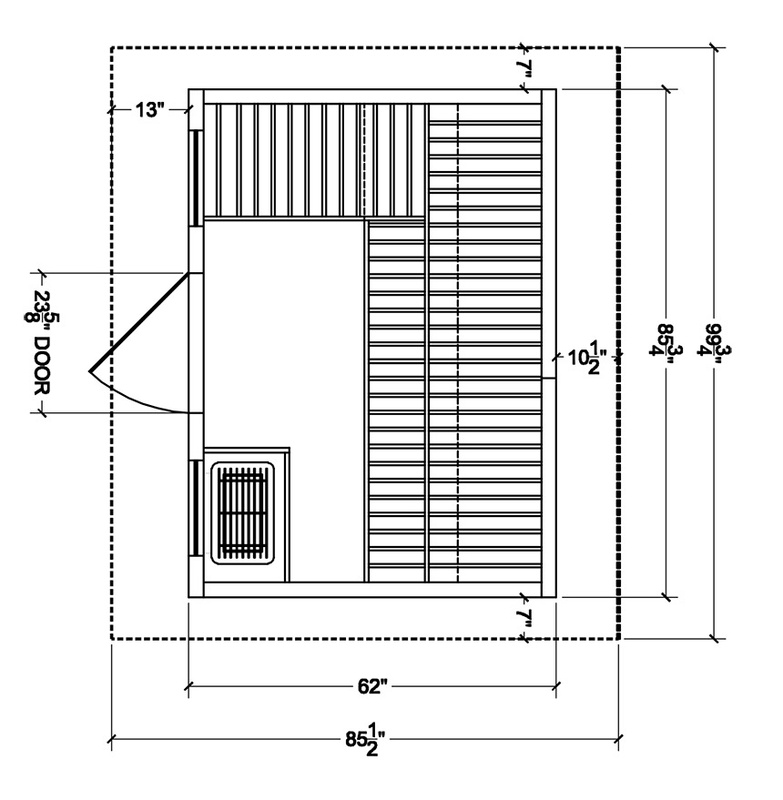 Built-in floor with attractive water resistant vinyl flooring. Cathedral ceiling with exposed center/ridge beam. 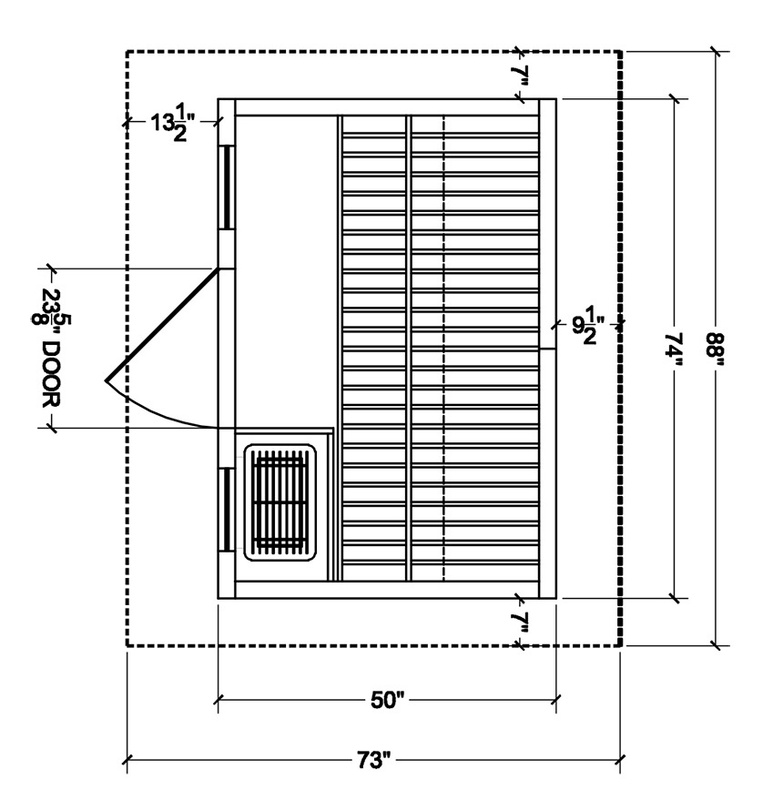 Designer heater with Trend digital control (control is mounted inside sauna). 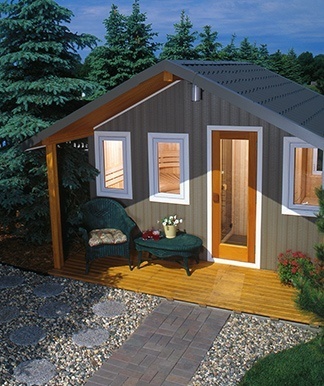 Roof kit in two easy-to-install panels, including all-weather metal roofing.